It is that time of year again – pumpkin time of course! One of the best things about fall is enjoying all of those yummy pumpkin treats whether it be a Pumpkin Spice Latte or a good ol’ fashion pumpkin pie. 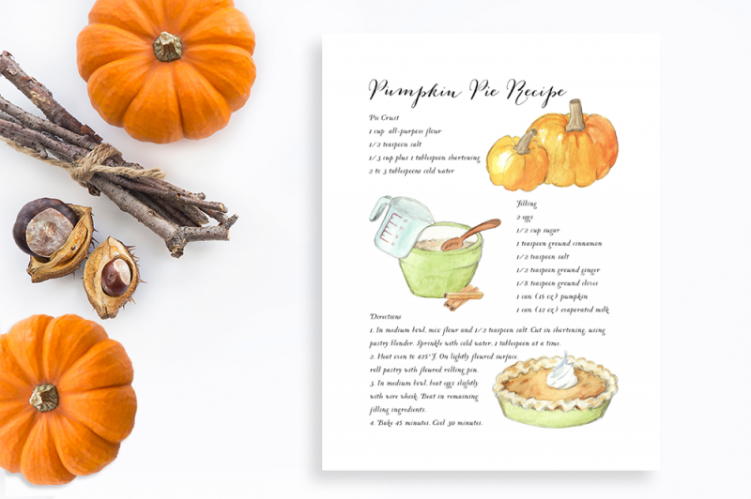 With that in mind, I was inspired to create a print that provided a pumpkin pie recipe but also could standalone as a beautiful piece of art. You can frame it immediately upon receiving and instantly dress up your kitchen or dining room decor. Voila! © 2019 Jennifer Chase|ProPhoto Photo Theme by NetRivet, Inc.